11 ft Guardian Fall Protection Halo Series Web SRL w/ Steel Snap Hook at Capitol Materials Coastal, Inc. The Guardian Fall Protection Halo Series Web Self-Retracting Lifeline (SRL), formerly the Edge Series Web SRL, is designed with a specialized quick-action braking system, and is manufactured from non-corrosive, lightweight components. 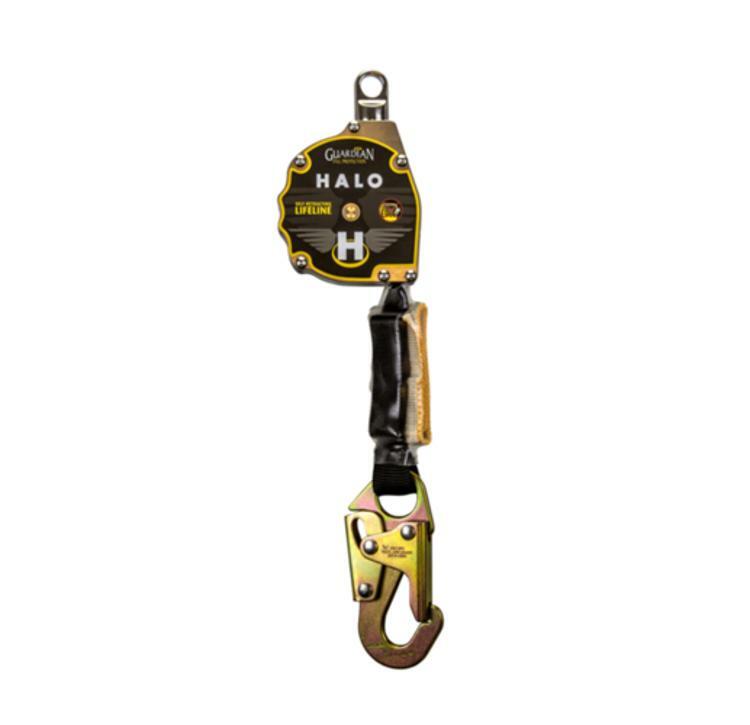 Extremely durable and compact, Halo SRLs will stand up to even the harshest working conditions.